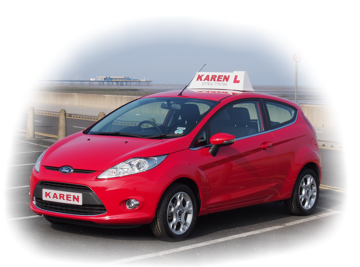 My name's Karen Pyke and I'm a driving instructor in the Southport area, covering Formby, Crosby, and Maghull, and if you want to get your driving license then I'm here to help you! A lot of pupils have come to me because they wanted a woman instructor, but whether you are looking specifically for a female driving instructor or not, I can offer lessons structured to suit your availability and schedule, including refresher and intensive courses and Pass Plus. I'm a fully qualified ADI - green badge holder - and have achieved Grade A on my DVSA standards check, so I've got the skills to get you through your driving test, but that's only half the story. Choosing an instructor is about being able to work with the person, so check out the rest of the site for more info, or give me a call and see what you think!